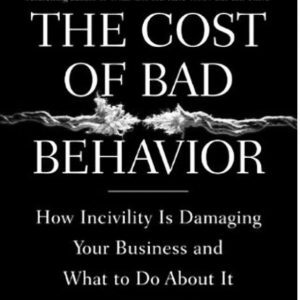 The Cost of Bad Behavior: How Incivility is Damaging Your Business and What to Do About It, by Chirstine Pearson and Christine Porath was published in 2009. The book details results of research from Pearson and Porath in their work with business leaders. Since 2009 the number of people that report rudeness at work has risen. In a recent article by business journalist Anna Robaton, she writes that Porath acknowledges 62% of workers in 2016 report that they experience rudeness at least once a month. That is up from the 48% mentioned at the time the book was written. It is easy to blame others for incivility but that is like blaming someone who has a cold. There is an underlying reason for rudeness and it is easy to pass rudeness on to others. An analogy is like a cold, our immune system is compromised when we experience rudeness. We are more easily bothered by rude behavior when we are under stress. Leaders in organizations can apply the top ten suggestions offered in Chapter 13 to create a civil workplace. These ten steps are not easy. They require constant vigilance. A case study presented in Chapter 3 outlines the cost in terms of lost productivity, employee turnover, cost of managing incivility by the human resource department and absenteeism. 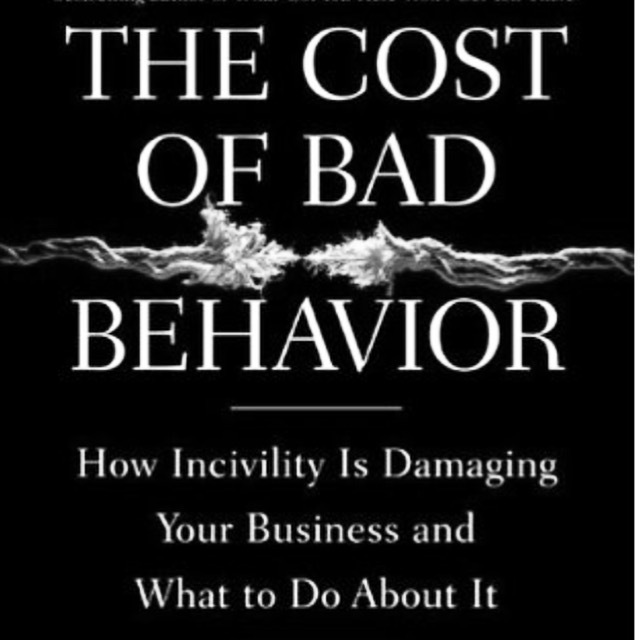 For a healthcare organization with annual gross income of $999,856,000 they calculated the cost of incivility in estimated loss to be $70,911,390. 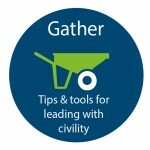 The worksheets presented in the book show leaders that there are dollars to be captured by putting together a focused effort to increase civility. This book is extremely helpful to those who want to present a business case for applying the 10 suggestions. How does a professor of Italian fiction and poetry end up becoming a leading expert on civility? P.M. Forni realized he wanted to teach his students to be kind human beings more than he wanted them to know about a particular poet. He took his role as a teacher seriously and started offering lectures and workshops on civility. I am convinced that, to a significant extent, life is what our relationships make it. Every page of this book is imbued with this simple conviction. Good relationships make our lives good; bad relationships make our lives bad. We are usually happy (or unhappy) with others. Although at times we can be happy in spite of others, we are usually happy thanks to them, and thanks to the good relationships we have with them. As you can see by the title, Choosing Civility: The Twenty-Five Rules of Considerate Conduct, there are rules of conduct, that Forni has determined from studying a vast body of work. He looked at religious texts from major religions, Victorian books on manners, the works of philosophers such as Plato and Kant and more recent self-help books. To many people, rules of conduct feel ominous, like a teacher standing over us with ruler in one hand waiting to correct our behavior. If you dislike this didactic approach, another way to use the book is to look at the rules in the book as behaviors or skills that are useful when it comes to building relationships with others. If you went through the rules you would probably realize that you are already applying many of these behaviors in your life. In addition, you might also be surprised by some of the rules. For example “Give constructive criticism” is a skill or behavior that most people don’t think relates to civility. 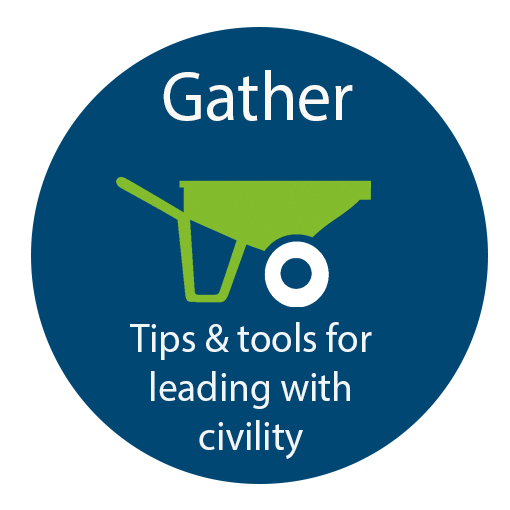 Our intention at The Wallace Centers of Iowa is to look at the historical life of Henry A. Wallace and distill a few “seeds of civility” or practices that can be foundational to teaching leaders in the workplace. Our workshops include an opportunity for people to consider their civility strengths and then help them select a few civility practices to apply in an intentional way.